It is not enough to know how to continuously interpret and anticipate peoples' personal tastes, to develop a perfect supply chain, or to have an excellent distribution network across various channels and a widespread sales network. The retail sector is changing so extensively and so quickly that companies are being forced to manage and control a set of increasingly complex and interdependent variables such as the brand, range, purchasing behaviour and consumer lifestyles. This is why you need a fast receipt printer which offers the greatest flexibility of use and does not need a PC to connect to the company IT system, but which can also be connected to temporary wireless sales terminals such as iPads and Android tablets. Another essential: it must be simple to install, connect and use. Original Marines: in the beginning there was a white T-shirt. The brand was founded in 1983 when five entrepreneurs from Campania decided to start a company specialising in the production and marketing of casual and sports clothing lines for the whole family. From the historic white T-shirt of 1983 to the total-look collections for the whole family, today Original Marines is a brand synonymous with freshness, independence and lust for life, while always remaining aware of the quality-price ratio of its products. From the first single-brand shop in 1993 to over 600 today (of which 77 are outside Italy, spanning 5 continents), the company's evolution has been continuous and unstoppable. The management of an increasingly complex business requires increasingly simpler tools. In 2011, in order to better manage the sales network, Original Marines chose the power2Retail software suite developed by KIR (www.kir.it), a company specialising in the development of IT solutions for the retail industry. "power2Retail is a solution developed according to the HTML5 (entirely web-based) standard," according to Giordano Iovine, Director of KIR. "power2Retail can be operated natively on iOS and Android mobile devices, guaranteeing total operability even when offline, in a way that is transparent for users." 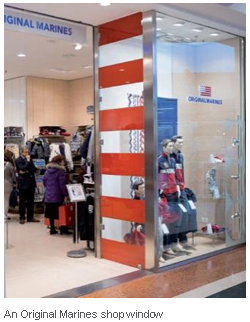 "This fully web-based solution," explains Raffaele Abbate, CIO of Original Marines, "has changed our approach to software management and actively involves all users in our retail chain, from the retailers in our stores to the company's top management." 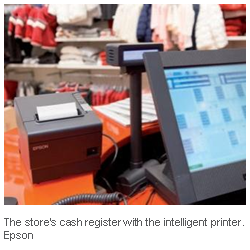 Epson FP-90III and TM-T88V-i: the "intelligent" solution for retail. The power and use of this innovative application, however, risked being strongly limited by the presence of traditional cash registers at points of sale, which could only communicate with a single PC and which needed to create a driver for every model to do this. 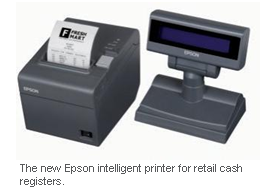 "When Epson showed us the FP-90III and TM-T88V-i models," concludes Raffaele Abbate, "we immediately realised it was the perfect solution for our needs: the possibility to print without drivers and to change applications without having to change printer settings is an important development, allowing us to free ourselves from using a specific type of hardware, to connect more devices to the same printer and also to work with mobile devices at periods of increased customer flow. 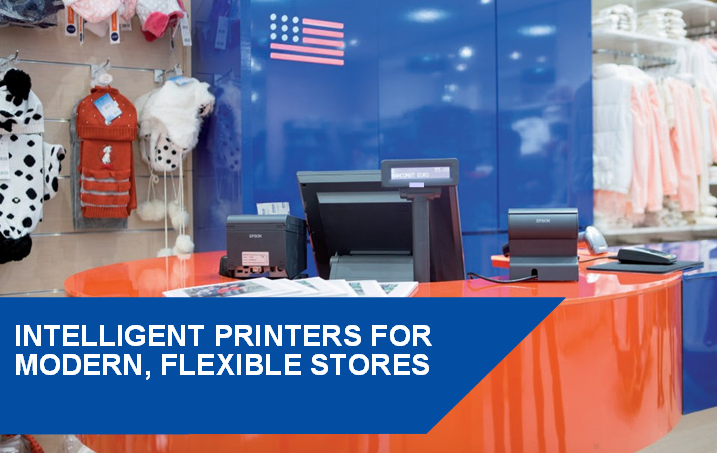 "This innovative technology from Epson has opened up new possibilities for our retail scenario, by significantly simplifying our entire business: from managing administrative and managerial data flows to controlling the vast point of sale network across the country."